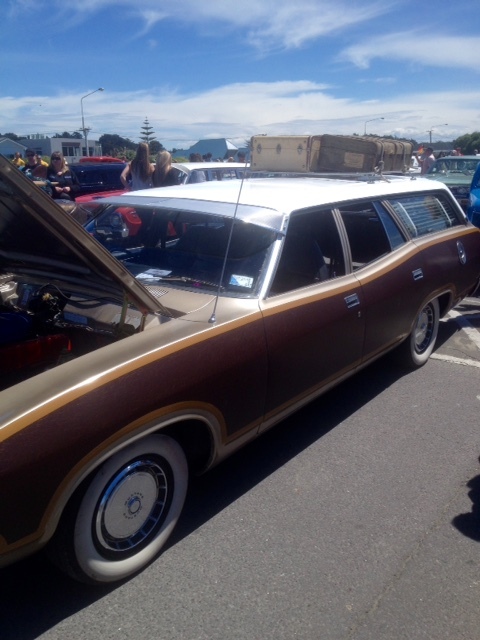 and a wander around the New Brighton Seaside Market, swollen in size by the inclusion of a Vintage Market and Rockabilly Show and Shine Car Show where research was undertaken on a new Homestead Mobile. Where would we find a suitable parking space? And then we saw it, sparkling enticingly in the noon day sun. With enough power to pull the goat trailer, enough seats to accommodate every last one of us, and style…don’t even go there! 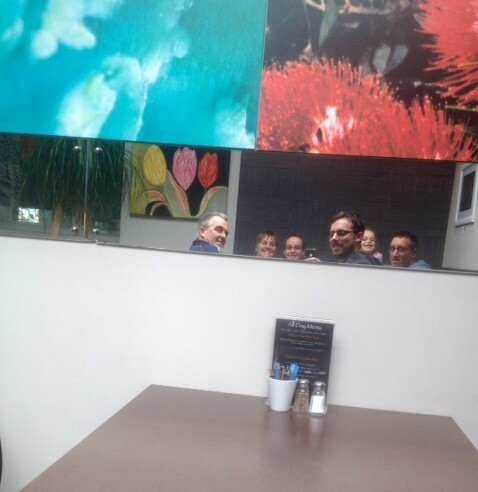 So without further ado…. No, you’re right, we’d never be able to reconcile our greenie selves with the amount of fuel this beastie would guzzle just backing out of the Homestead gates. Speaking of which, we’re running out the door now, all greased up for the Rockabilly Ball and a tad concerned about our lack of co ordination. We hope your weekend has just the right balance of sensible, silly, celebration , run of the mill, ridiculous and grown up…kind of like that big red bus! 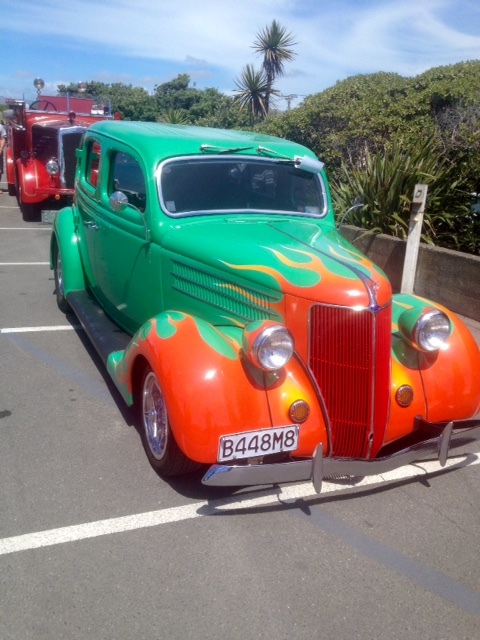 This entry was posted in Union Homestead and tagged Aotearoa, beach hop, cars, Christchurch, Crema, NaBloPoMo, New Brighton, New Zealand, Otautahi, rockabilly, show and shine, show n shine, vintage. Bookmark the permalink. 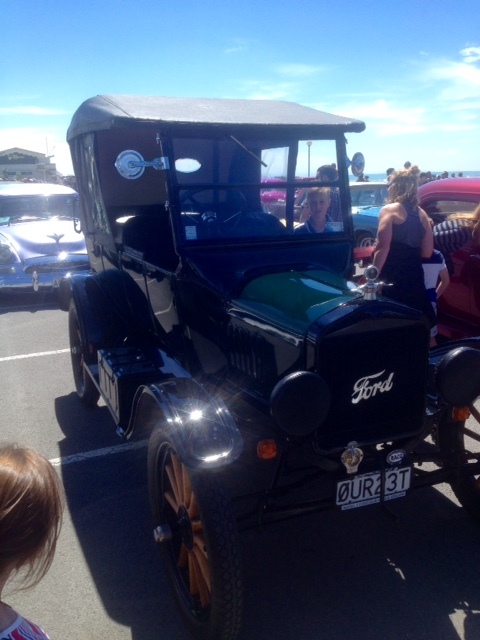 Loved all those old cars. It was wonderful to see them all and fantastic to have our suburb hosting such a fun event. congrats to the goat herd! Too bad yuo did not opt for that Red Beastie…you would not even needed a goat trailer, one on every lap?? Have a great weekend! Happy Birthday to the Goat Herd. You’ve certainly had a run on birthdays among your lot. 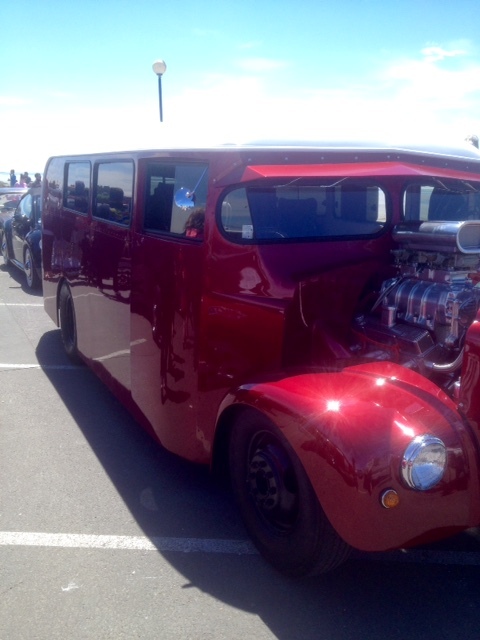 I think, like Colorpencil, that the red one would have been big enough not to need a trailer – that’s economizing! Have a great weekend! It’s got to be the bus.